Carrie chats with Becky Wade Firth! They talk about the journey behind her book “Run the World,” her training for the upcoming Boston Marathon, and how she is trying to listen to her (not so willing) body during training weeks of 110 miles. Becky (Wade) Firth (married last September!) is a 3-time Olympic Trials participant in the 3K Steeplechase and Marathon, a 2:30 marathoner, and the author of Run the World: My 3,500-Mile Journey Through Running Cultures Around the Globe. Her book chronicles her Thomas J. Watson Fellowship year, in which, totally solo and straight out of college, she explored training styles and running communities in over 20 countries. 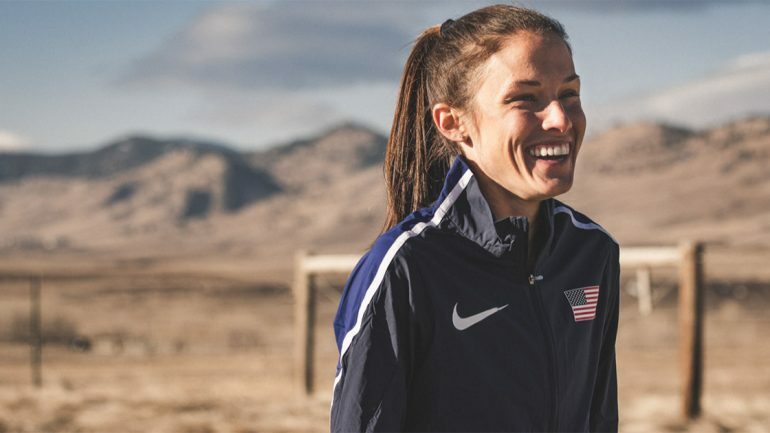 Born in Dallas, Texas, educated at Rice University in Houston, and now living and training in Boulder, Colorado, Becky is one of two sets of twins (just a year apart). While not running, she enjoys cooking, reading, spending time with her husband and dog-ter Tina, writing for outlets such as Runner’s World, and scheming up her next big adventure.